Our May Poetry Cafe on 13th features as guest award-winning eco-poet and ex-Fromie Helen Moore, who is returning especially to launch her new collection ’The Mother Country’ - the superb cover image is by Frome artist Marian Bruce. As usual there will also be an Open Mic session where everyone is welcome to share an original poem. 7.30-9.30, Garden Cafe, £2 at the counter on entry - drinks, snacks, and a friendly group guaranteed. 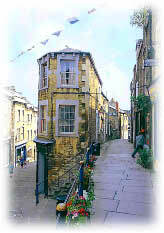 The Poetry Cafe in Frome Somerset, began during the first Frome Festival in 2001 and became a regular and popular event on the first Monday of alternative months. Frome is a town of enormous charm, with its steep, winding streets, its wealth of beautiful old buildings and its friendly, relaxed atmosphere. It has more listed buildings than any other town in Somerset and remains the biggest of the five Mendip towns. Frome is renowned for its thriving Arts community and boasts a high number of resident authors, poets and performance artists.